Incident occurred on 23 September 2018, on the third day of a Four-Day Defensive Handgun course, at approximately 4:00 p.m. There were ten students on the firing line with three Front Sight instructors observing and instructing the students. A ratio of one instructor for every 3.33 students. The student was a 58-year-old male, in good health with no known serious medical problems. Student was performing a firing drill at the 10-yard line when the incident occurred. Without warning, the student fell backward to the ground and remained still. It was determined the student was in cardiac arrest and bystanders and staff began CPR within thirty seconds of his collapse. Medical staff were immediately notified by range personnel and responded to the range. Pahrump Valley Fire & Rescue service was also dispatched to the incident. Front Sight medical staff were on scene within four minutes of the call. Upon arrival, Front Sight medical staff took over incident management and used an AED to defibrillate the student. Medical personnel worked the arrest for several minutes, providing airway management, chest compressions, and two additional defibrillations. The student regained his heartbeat and breathing after the third defibrillation. Front Sight medical personnel cared for the student for an additional fifteen minutes until the arrival of a PVFD ambulance. Once the PVFD ambulance was onsite with the patient, the determination was made to transport the student to Las Vegas via helicopter for medical treatment. The student was flown to a Las Vegas area hospital and received emergency treatment for his condition. He is currently stable and recovering. Cardiac arrest can happen for a variety of reasons and, as in this case, often occurs without any advance warning. According to witnesses, the student was behaving normally and enjoying the course right up until the moment he collapsed. While there is nothing that could have been done to prevent this particular incident, it serves as an excellent example of why we go the extra mile to insure we have professionally trained medical staff on site when classes are in session. This incident also serves as a telling reminder to all of us that we need to pursue medical training just as we pursue the perfection of our skills with firearms. It’s not enough to be able to defend ourselves and our loved ones. We must also be prepared to take care of them when they need us most. 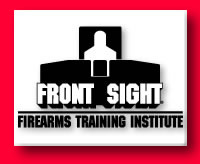 We take great pride in knowing we were prepared to help this person and wish him many more years of successful training at Front Sight with his family.